The dual system 50ml size with 10:1 mix ratio by volume. Materials are stored in the two chambers of the dual cartridge system and are then dispensed simultaneously into the static mixer, where dynamic mixing takes place. Use these products with 2-part epoxies, resins, sealants, silcones & polyurethanes. - 50 x Cartridge 10:1 with capacity of 50ml max. - 50 x Vented pistons with cap seal (large). - 50 x Vented pistons with cap seal (small). 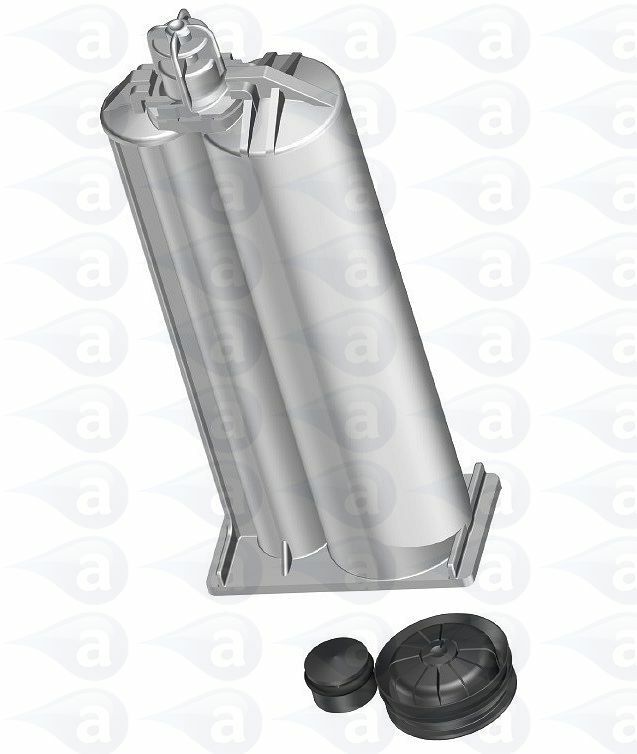 Standard air-bleed pistons are shipped with this cartridge system allowing for use with most two component materials. These dual cartridge products are compatible with either manual or pneumatic dual cartridge guns. Summary: White polypropylene plastic body. Air bleed wiper pistons. Supplied with pistons and a nozzle tip cap. 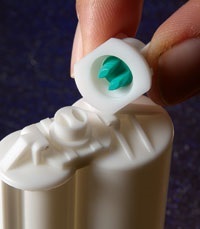 Nozzle attachment is bayonet twist-on. 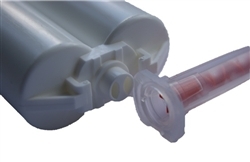 Use (MAHX) series mixer nozzles below with these cartridges. All mixers below work with 10:1 mix ratios. Supplied in sealed packs with labels and batch codes.